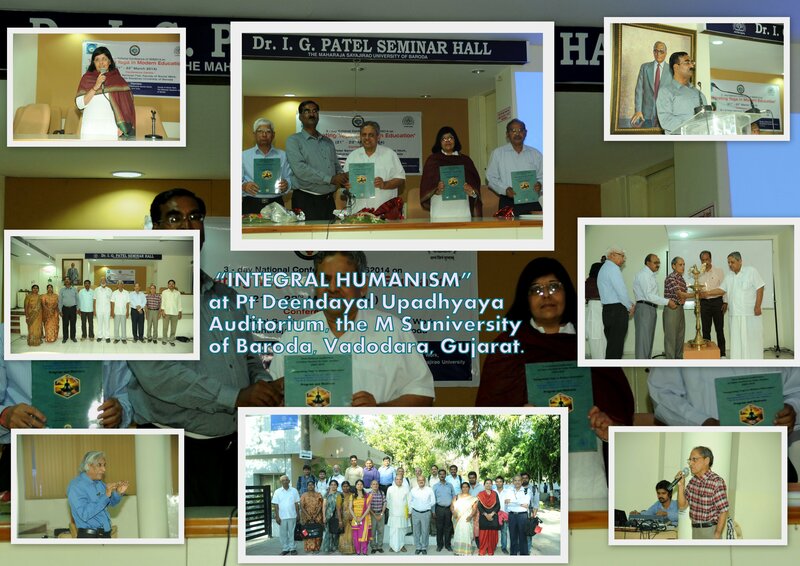 The 2 day-Seminar/Workshop on “Practicing Integral Humanism” Beloved Leader Pt. DeenDayal Upadhyay. The main purpose of this event is to inspire the faculty and students at MSU to follow in the foot-steps of an Integral Humanism icon and learn the principles of holistic humanism and techniques to practice these every day for personal well-being and society’s well-being. Pundit Deendayal Upadhyaya (September 25, 1916 – February 11, 1968) was a great leader. He was a philosopher, economist, social reformer and political thinker He was a revered icon of Integral Humanism. He was a dynamic visionary and above all the driving force for an alternative model of local/national governance and politics. Pt. Upadhyaya’spractice of Integral Humanism was based on ancient Indian wisdom. He followed the tradition of Advaita(non-dualism) followed by Shankaracarya. The non-dualism presents the unifying principle of every phenomena of the universe of which humankind is a constituent. There is an urgent need to learn and practice Integral Humanism as we have largely become a part of fractured and fragmented Humanism. This breakdown of Humanism has also led to many social and moral problems faced by the society today because state and crony capitalism have failed as instruments of development. This Seminar/Workshop is open to all faculty members and students at MSU. Invited speakers and Seminar facilitators are professionals in their area of expertise and have a long track record of excellence. Session 4: Key Learning & Recommendations. The panel will summarize the key areas covered in the Seminar and their relevance in lifting the Quality-of-Life of society in general and spefecific recommendations for the policy makers to use the paradigm of Integral Humanism. It will explore ways to bring awareness of Integral Humanism practices to all MSU administration, teaching faculty and students.Students graduating with this foundation will become life-long asset for the society.